Learning about furnace components helps with the process for heating repair Spring TX. When you think about it, the heating system plays a straightforward role. It draws in cold air, heats it up, and then releases it back out. Several parts and elements perform the heating task. If one component fails, it affects the entire heating system and how it works. When talking about a heating system, most people think about the thermostat. The heating system comes with many other parts that keep it running as needed. Ask any homeowner about the role of the other parts of a furnace and most would not have an answer. Not going deep into the mechanics, but everyone should know the parts making up a heating system. With a good level of knowledge about your furnace, you can take better care of it. Approach home heating repair processes from a knowledgeable standpoint. 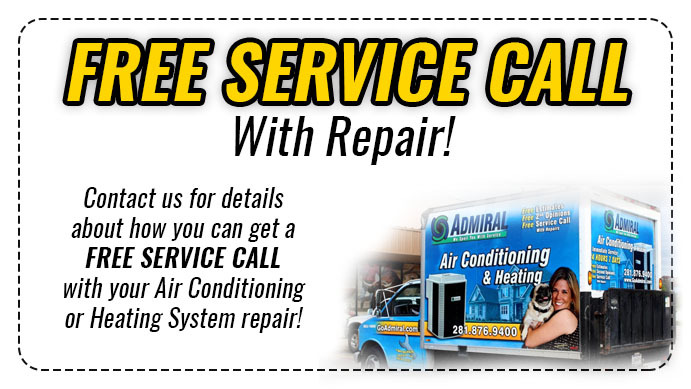 Get the services of heating system experts Houston Admiral for all your repair needs. Reach them on the phone at 281-876-9400. Visit https://goadmiral.com for more about their heating system services. The furnace functions as the focal heating point. It houses several other components including air filters, blower/fan, and heat exchanger. The furnace uses fuel power, gas, or propane to heat up cold air. The heat exchanger handles the bulk of the heating process. The ducting system comprises of two networks. Each ducting system works independently of the other. One supplies cold air drawn from the surrounding area and feeds it to the furnace. The other ducting system relays the heated up air out of the heater. It then releases the warmed up air throughout the house through vents and heat registers. The thermostat works much like the brain. It controls the functions of the furnace starting with turning it on or off. Programmable thermostats allow you to set precise temperatures as needed. The furnace components are the leading cause of heating system breakdowns. The ducting system also needs servicing from a furnace repairs company in Spring, TX. Houston Admiral provides reliable heating repairs and maintenance services. Get in touch with them through https://goadmiral.com or call them on the phone at 281-876-9400. Ask any homeowner how much it costs to run their heating system and most equate it to their energy bills. Maintaining a functional furnace requires much more than paying utility bills. Maintenance and repair costs and efficiency ratings contribute to a heater’s running costs. Heating systems with higher efficiency ratings use fuel more efficiently. It all translates to lower operating costs. Efficient heating systems also cut down on the costs for heating repair service. To put it all in figures, commercial premises spend an estimated $15,000 in running HVAC systems. Residential heating systems cost an estimated $6,000 to $12,000. The costs factor in buying costs as well as all the other expenses. Home heating accounts for half of the power bills in most households. Unexpected costs for furnace heater repair adds to the expenses of running a heater. The fair deduction is that it is expensive to access comfort heating at home. Upgrades to your HVAC system can save you as much as $500 off your annual heating costs. If you have an older furnace for newer efficient models, it helps you save on cost. The upgrade to efficient heating systems can save as much as $400 off of your utility bills. Ducting systems develop leaks with time. Sealing the leaks and insulating the ducts improves efficiency by an estimated 20%. Switching to a programmable thermostat enables you to control indoor temperatures with precision. The upgrade can help you save about $180 off of your annual energy costs. Replace your single-pane windows with efficient windows for better insulation. Weather stripping of doors and windows prevents heating loss. The change shaves off up to $465 in annual energy costs. Increase ceiling insulation thickness to save as much as $145 every year. Regular maintenance can reduce heating system costs by up to 50%. Change filter every 60 to 90 days to reduce electricity use by five to 15%. Get the furnace maintenance services from Houston Admiral. Get a hold of them through https://goadmiral.comor call them at 281-876-9400. Homeowners who have to make constant repairs find maintaining heaters much costlier. Older heating systems need repairs the most. The solution lies in upgrading your heating system with a newer, efficient furnace. Cost is what prevents most homeowners from making that upgrade. Ask the heating contractors in Spring, TX about tax deductions and rebates. 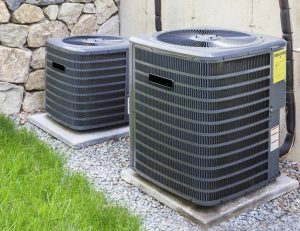 Most utility companies provide financing option and rebates for HVAC purchases. The reason why you should upgrade your heating system is to save on monthly energy costs. Efficient furnaces also release fewer greenhouse gases. The newer systems also provide more options when it comes to fuel use. Upgrading your heating system is the best solution if your furnace is 15 to 20 years old. Once you have a new furnace ensure that it serves you longer with proper maintenance. Servicing HVAC systems is a preventative maintenance cost. It is the kind of expense that reduces your need for corrective maintenance. Service your heating system every other year for new furnaces and once a year for older systems. 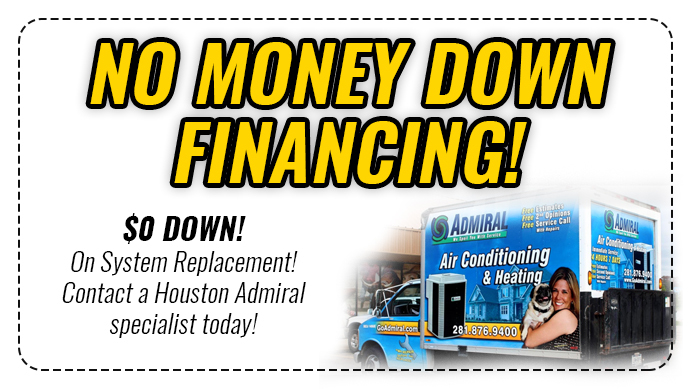 Houston Admiral offers heating system replacement, maintenance, and heating repair Spring TX. Call them on the phone at 281-876-9400 or reach them on their website https://goadmiral.com. The estimated population of the Spring, TX metro area is 56,369 people. Old Town Spring, TX was originally inhabited by the Orcoquisac Indians. It is now one of the most liked shopping regions in Spring. The Spring area got its name from its lovely spring season. Railroad workers laying tracks to Houston made a stop in the area when it was spring. They called it Camp Spring and I. & G.N. platted it in 1873.